It's Not All Bad News... There Are Helpers All Around Us! 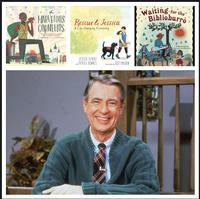 Mr. Rogers’ words to "always look for the helpers" are incredibly wise, both for grown-ups and little ones alike! Mr. Rogers’ words to "always look for the helpers" are incredibly wise, both for grown-ups and little ones alike. I myself think of them often! Books can help too! Stories where we learn about acts of compassion and resilience can helps us see the world with a new perspective. In New Orleans, there lived a man who saw the streets as his calling, and he swept them clean. He danced up one avenue and down another and everyone danced along. The old ladies whistled and whirled. The old men hooted and hollered. The barbers, bead twirlers, and beignet bakers bounded behind that one-man parade. But then came the rising Mississippi—and a storm greater than anyone had seen before. 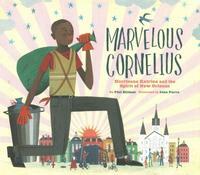 In this heartwarming book about a real garbage man, Phil Bildner and John Parra tell the inspiring story of a humble man and the heroic difference he made in the aftermath of Hurricane Katrina. Based on a real-life partnership, the heartening story of the love and teamwork between a girl and her service dog will illuminate and inspire. Rescue thought he’d grow up to be a Seeing Eye dog — it’s the family business, after all. When he gets the news that he’s better suited to being a service dog, he’s worried that he’s not up to the task. Then he meets Jessica, a girl whose life is turning out differently than the way she’d imagined it, too. Now Jessica needs Rescue by her side to help her accomplish everyday tasks. And it turns out that Rescue can help Jessica see after all: a way forward, together, one step at a time. An endnote from the authors tells more about the training and extraordinary abilities of service dogs, particularly their real-life best friend and black lab, Rescue. 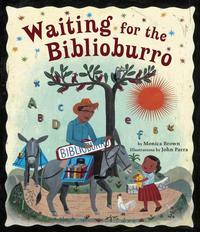 When a man brings to a remote village two burros, Alfa and Beto, loaded with books the children can borrow, Ana's excitement leads her to write a book of her own as she waits for the BibliBurro to return. Inspired by the heroic efforts of real-life librarian Luis Soriano, this book introduces readers to the mobile library that journeys over mountains and through valleys to bring literacy and culture to rural Colombia, and to the children who wait for the BiblioBurro. Check out this booklist for more uplifting tales of kindness and courage, to human and animals in need. These books remind us there are ALWAYS helpers all around us. Find these and other inspiring books at your neighborhood library. Add a Comment to It's Not All Bad News... There Are Helpers All Around Us!